Q: My husband is leaving after twenty years of marriage. He has been the primary bread winner. I make 25,000 a year doing job a love. I and my adult children will be living together for one year (hopefully). I do not know where to begin with spending, saving or anything and at times I can be a bit of a shopaholic. I’m scared! What should I do? A: Given your circumstances, I want to encourage you to not only begin to take care of your financial affairs, but also your emotional well-being. It’s very tough to make clear-headed financial decisions when you are in the midst of mourning a marriage that is ending. It seems as though you and your husband are already in the process of splitting assets/resources. Since you’ve had a 20-year marriage/relationship, I would suggest you seek legal counsel before you sign off on anything that may affect your long-term financial security. Since your soon-to-be ex has been the primary breadwinner, I do understand that it may be difficult to hire good legal counsel. At the very least, you might try getting help from a low-income legal clinic or someplace that assists low-to-moderate income earners. In a nutshell, I’m recommending that you carefully think through the financial ramifications of a separation/divorce (i.e alimony, the house, division of debts, bank assets, stocks/bonds, retirement money, pensions, etc.) and get proper guidance before you make any final decisions concerning those matters. Trust me: if you act rashly or emotionally, you may later regret it. To avoid making some common blunders, please read my advice on 7 mistakes to avoid during a divorce and 5 tips to protect your credit score during divorce. Now, about your other financial dilemmas. Yes, it will be a major change to live with your adult children and to do without your husband’s salary (or at least a big chunk of it). 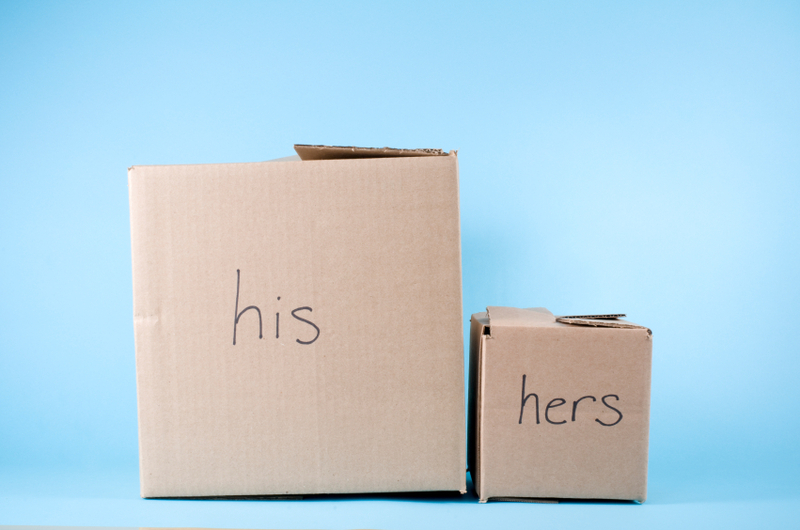 However, you have to accept that some measure of transition is necessary as you adjust to life on your own – without a spouse. Many, many families are becoming multi-generational households. It has its challenges, but it’s very doable. Here’s an article about some things to discuss with your kids to better improve communication, set expectations about living together, and make a multi-generational living situation work well. As for your past financial behaviors, such as over-spending, you need to be very careful about those habits during this period of your life. Unfortunately, when people are in emotional crisis they tend to magnify their behaviors — both good and bad behaviors. You don’t want to start doing extra “emotional spending” just because you’re trying to soothe yourself and deal with an unhappy situation. You also need to create your own, new, individualized budget. Since you said your annually salary is about $25,000, you’ll need to watch your expenses. You can no longer afford to live the lifestyle that you did when you were married. That’s a simple fact. So the sooner you accept that reality, the better off you’ll be financially. Too often, people undergoing a major shock to their finances (i.e. divorce, downsizing, the death of a breadwinner etc.) keep up the same level of spending to which they had previously become accustomed. If you do that, it will be a recipe for financial disaster. So follow my advice in this article on how create a budget and try your best to stick to it. Here are some other tips too on how to successfully budget after a financial setback or downfall. Finally, don’t be afraid to reach out for help — from supportive family members, close friends, clergy, or other trusted individuals. You don’t have to tell everyone all your business. That’s one extreme that’s probably inappropriate. But the other extreme — keeping everything inside — is also counterproductive and potentially harmful as well. The fact that you wrote me tonight suggests that you recognize that you need help with your money management. It’s OK to admit that. 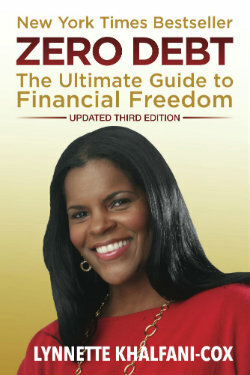 The key is to start to educate yourself, learn what you don’t know, and adopt positive, healthy financial habits. Well, I think that’s everything for now, I do hope this feedback helps you.